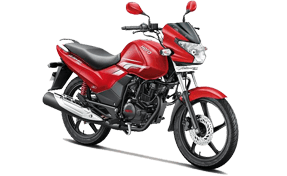 The Hero Achiever is one of the fast selling and affordable 150cc by Hero. This is the most demanded bike when it comes to all models of Hero. The company recently introduced the Achiever with a thoroughly revised engine and updated technology to give it a fresh lease of life. The Hero Achiever holds very basic and conservative styling that has an appeal to urban and rural customers alike. The curvy headlamp gets a bikini fairing while the muscular fuel tank has been spruced up with few decals. Powering the Hero Achiever is a 150cc single-cylinder engine which delivers 13.4bhp and 12.8Nm of torque. The engine is mated to a five-speed transmission. The instrument cluster is a fully analog unit with speedometer, tachometer, fuel gauge, odometer and a trip meter. Apart from being a basic commuter motorcycle, the Achiever gets holds very interesting features such as the i3S technology. The i3S, first used in the Splendor iSmart and Splendor iSmart 110 is a fuel-saving technology which switches off the engine when the motorcycle idles in neutral for more than five seconds. The Achiever also gets alloy wheels and tubeless tyres. The Hero Achiever is offered in three colours - red, black and grey. It competes with other 150cc commuter bikes like the Bajaj Pulsar 150, Honda CB Unicorn 150, Bajaj V15 and the Yamaha SZ-RR Version 2.0. It is priced at Rs 66,000, ex-showroom, Delhi. A first-class bike with the amazing features by Herp that have a class in terms of specification and looks. This 150cc power engine is mated with taller gear ratios and its slow performance results to reduce its overall mileage. On the highways, the bike is claimed to generate around 55 kmpl. The fuel efficiency of this bike is certainly impressive for city commuting and it claims to produce around 50 kmpl in city. The Hero Motocorp Achiever is comfortable thanks to wide seat and easy to reach handlebar. The bike is equipped with a comfortable palm grip and the riders feel very relaxed. This bike is one of the best bikes on the market that carries great features and specifications. It is the best bike at this price. It comes in many colors. The Achiever 150 is all-new, in the sense that it is one of the first all-new products developed at Hero’s spanking new Centre of Innovation and Technology (CIT) in Jaipur, like the Splendor iSmart 110. However, the heart is still the same; the Honda-sourced 149.1cc mill has done duties on numerous CBZs and Unicorn derivatives to date. Although peak power and torque outputs remain the same at 13.6PS@8000rpm and 12.8Nm@5000rpm respectively, Hero has extensively reworked the engine and the powertrain. The result is that the Achiever 150 is now BS-IV compliant, and it will sprint to 60kmph from standstill in 5.95 seconds, while 0-100kmph comes up in 17.45 seconds. Initial grunt is indeed strong, and she will pull cleanly from as low as 2500rpm even in fifth gear. In third gear, she will climb from 30 kmph to 70 kmph in 7.10 seconds, and in 4th, she will climb from 40 kmph to 80 kmph in 8.52 seconds. There are many options in the market at this price, but this is the best one that you can get. There are good things about this bike that a commuter will love. You will be satisfied by this. Insurance is a need in today’s world. In India, you can’t drive without a valid insurance. It comes along with many beneficial features and looks that a person desire to have. Along with helpful features, the price of the same is also affordable.